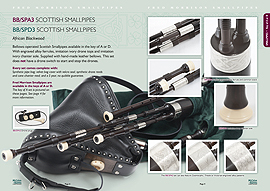 We are pleased to provide links to websites that are associated to McCallum Bagpipes. We encourage you to have a look at them when you have completed your visit to our website. The inclusion of any linked website serves neither as an endorsement or recommendation and as such McCallum Bagpipes cannot accept any liability for the content contained therein. Please contact us to exchange links or report broken links.